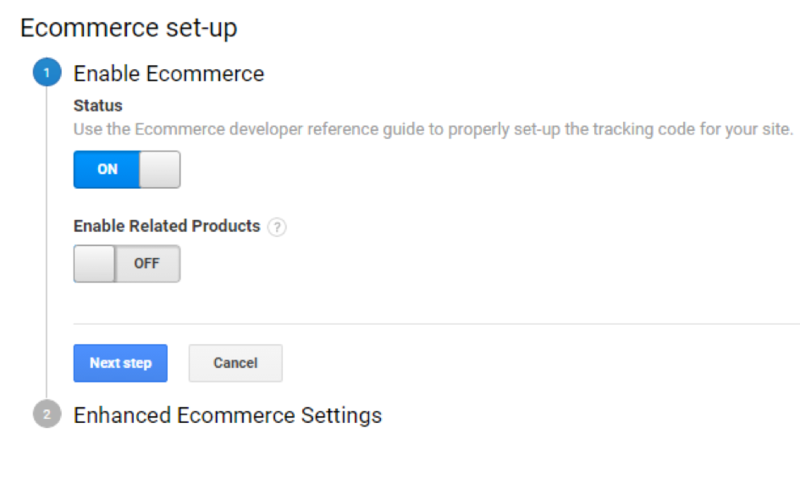 Select in the “View” column on the right “Ecommerce Settings”. 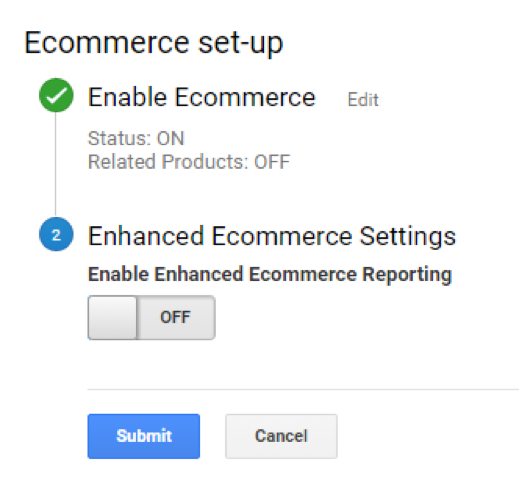 Leave both “Enable Related Products” and “Enhanced Ecommerce Tracking” in the next tab off. 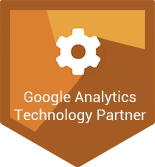 Select “Submit” and the tracking is activated.